Baum Squad: The Baum Family Blog: Two toofies! 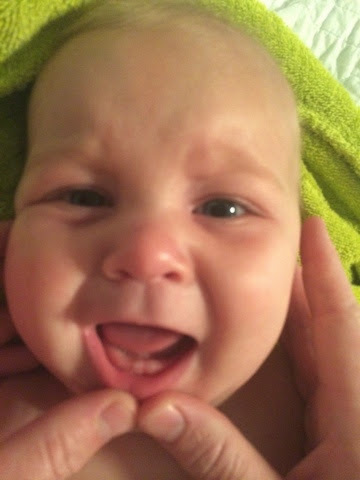 Someone has gotten two teeth over the last week...and he's not happy that mama is making him show them off! 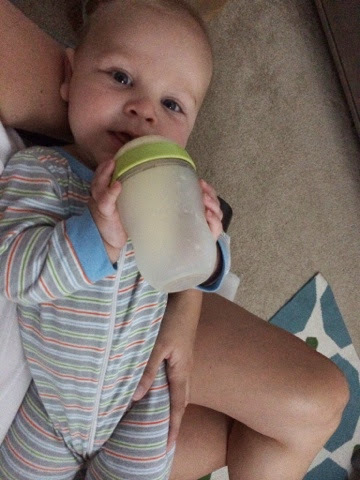 He also feeds himself, drinks out of a sippy cup, sits up really well by himself and holds his own bottle. Such a big boy. Dear time: I'm gonna need for you to #slowyourrole now, mmmmk?